HomeVideosWOLF ALICE have released a video for ‘Sadboy’ – Watch Now! Wolf Alice have released a video for ‘Sadboy’, a track taken from their latest album Visions Of A Life. In the video, singer Ellie Rowsell delivers a strong performance in which we follow her journey on what initially appears to be a night out with the band. As the evening progresses, cracks in her façade start to appear, giving a foreboding sense of the darkness lurking underneath and an unraveling mental state. Visions Of A Life debuted in the UK charts at number two and was named in the top three best albums of 2017 by NME, Q and Drowned in Sound. 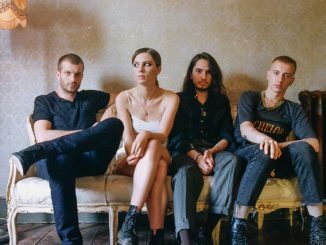 The video is released following nominations for Wolf Alice for Best British Band at the BRIT and NME Awards, with a further Best Album NME nomination for Visions Of A Life. The band have also recently been announced for a number of UK and European festivals, including Reading & Leeds, Latitude, TRNSMT, NOS Alive and Benicàssim. Visions Of A Life is fundamentally a personal album, and one of great growth for Wolf Alice. Alongside current single Formidable Cool, it features previous singles Don’t Delete the Kisses, Yuk Foo, and Beautifully Unconventional, and is available via Dirty Hit in digital, CD and double heavyweight vinyl formats. The album is the follow up to Wolf Alice’s 2015 Gold-selling debut album My Love Is Cool, which hit No. 2 in the UK charts and No. 12 on the Billboard alternative albums chart in the US. In its wake the band were nominated for the Mercury Music Prize, an Ivor Novello Award, a BRIT for Breakthrough Act and Grammy for Best Rock Performance, and took home two NME Awards. 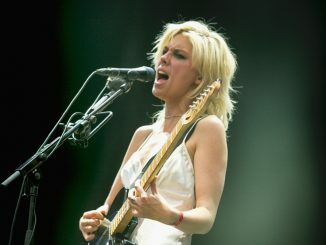 Following a winter world tour, including their biggest headline UK show to date with a sold out show at London’s Alexandra Palace, Wolf Alice will head out on the road again this year, including stops at festivals worldwide and stadium support slots with Queens of the Stone Age and Foo Fighters. Visit wolfalice.co.uk for tickets.